The first phases of two long-awaited greenways are becoming a reality. On a cold February night in 2007, more than 800 people packed the Memphis Botanic Garden's Hardin Hall for the first "Greening Greater Memphis" public meeting. Cars overflowed the lot onto Cherry Road, and many attendees were forced to stand at the back of the room or in the hallway. Despite the crowded conditions, most of them stayed. It may have been one of the most well-attended public meetings in recent city history, and it didn't involve a controversial development or the threat of demolishing a historic structure. Instead, attendees came out to show their support for a plan to make Memphis a more walkable, bikeable city. Shelby Farms parks consultant Alex Garvin, Greater Memphis Greenline president Bob Schreiber, Wolf River Conservancy's former director Keith Kirkland, and Shelby Farms Park Conservancy deputy director Laura Adams talked about plans for the construction of two greenways — the Wolf River Greenway and the Greater Memphis Greenline — and major improvements to the 4,000-acre Shelby Farms Park. When the greenways projects are complete, the attendees were told, a person will be able to walk or bike from downtown to Cordova. Some touted the benefits such exercise opportunities offer to a city ranked one of the unhealthiest in America. 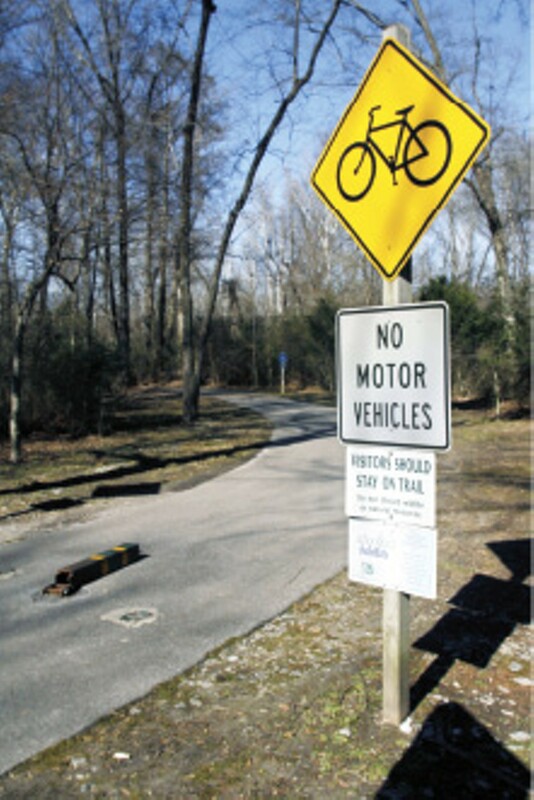 Others praised the connectivity the trails offer to poor, middle-class, and affluent neighborhoods. 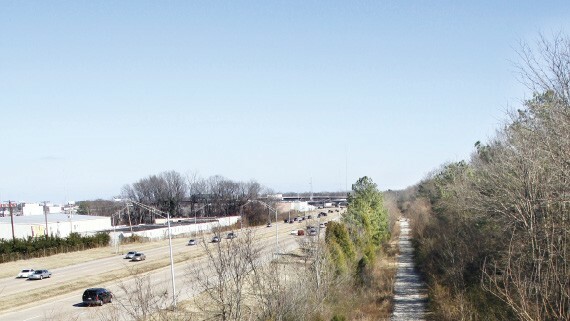 Fast forward to 2010: Though a walking path connecting downtown to Cordova is still years away, construction is expected to begin this week on the first stretches of both the Wolf River Greenway and the Greater Memphis Greenline. By the end of this summer, a mile of the Wolf River Greenway and nearly seven miles of the Greater Memphis Greenline should be open for bikers, runners, and walkers to enjoy. Though not considered part of the original Greening Greater Memphis plan, the Germantown Greenway also is expanding and eventually will link to the Wolf River Greenway. That means Memphians will someday be able to walk or bike from downtown all the way to Germantown. The greenways may not end Memphis' designation as a "fat city," but it will mean more opportunities for folks to get moving and to explore parts of the city previously hidden from view. On a sunny December afternoon, just after Christmas, a group of young adults are walking near the Lester Street Community Center in Midtown's Binghamton neighborhood. A couple cross over a set of paved railroad tracks on Tillman, ignoring the brush that's grown over the area where rails and timbers were stripped from the abandoned CSX rail line east of the street. The grown-over track, which runs behind a few apartment buildings and seems to lead to nowhere, will become the temporary trailhead for the Greater Memphis Greenline. The greenline, a project managed by the Shelby Farms Park Conservancy and owned by Shelby County, eventually will use 13 miles of abandoned rail line for a walking and biking trail that connects Midtown to Cordova. The first six-and-a-half miles, a $2.4 million construction project set to break ground next week, will start at Tillman, run parallel to Sam Cooper Blvd., cross the Wolf River, and end at the Shelby Farms visitors center near Patriot Lake. "At Tillman, you're in Binghamton, which is a 100-year-old neighborhood on the edge of Midtown. When you go east, it's an amazing route in both environmental and scenic quality," says Ritchie Smith, the landscape architect who designed the greenline's first stretch. "People don't understand how interesting and appealing this area is until you spend time walking it. You just can't see it from a lot of road crossings. Basically, you're following the eastern expansion of Memphis." The planned 10-foot-wide asphalt trail has been in the works for a number of years, but it wasn't until last August that the county acquired the first seven miles of rail line from CSX. That first stretch cost $5 million and was paid for with a mix of private and public funds. The county had spent years attempting to negotiate a workable price for its purchase. CSX originally asked $17 million for the entire 13-mile corridor. "Railroads are notoriously difficult to deal with, and they have a lot of old laws on the books that are on their side," says Adams of the Shelby Farms Park Conservancy. "They don't mind sitting on the line forever, and there's not a whole lot of incentive for them to sell it." Though the purchased track begins under the Poplar-Union viaduct, the first stretch being built will begin at Tillman. It will be extended a half-mile to the viaduct at a later date. If the project goes as planned, by late summer, a walker or biker will be able to start at Tillman and cross Cypress Creek on a new 120-foot pedestrian bridge. Highland Avenue is the only point where the trail will cross a busy street. Smith says they're designing several measures to ensure more safety when crossing Highland. "We have a grass median that will be in the center of the street so you can cross halfway. Right now, there's just a turning lane. Often it's difficult to find a break in the traffic in both directions," Smith says. "Also, we're putting in an on-demand flashing yellow light. When there's someone on the trail near Highland, their presence will be picked up and a yellow light will flash for traffic." The first of its kind in the area, the yellow pedestrian light will be solar-powered and will only flash when its sensors detect someone on the trail about 50 feet away from the road. "Initially, the trail is pretty rudimentary," Adams says. "There's not a whole lot of fluff. It's about functions and safety." Though the first phase of the trail will be bare-bones, there will be a few large "urban boulders" designed to block the trail off to cars. Smith says those boulders will double as seating and stretching areas. The trail also will run past a few retail amenities, like the High Point Terrace retail center, which boasts a grocery store, a pizza parlor, a barber shop, and a pub. At a public meeting this past summer, some residents who live near the trail expressed concerns about the possibility of increased crime. Then-county Mayor A C Wharton assured residents that "the trail will not open until we have a comprehensive security plan in place." 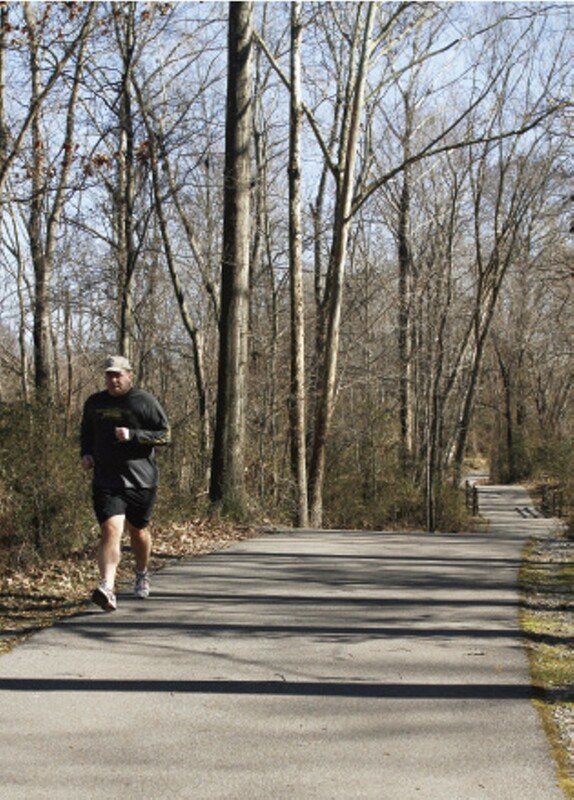 Even though the trail runs alongside Sam Cooper and near I-240 at one point, Smith says you'd never know it, since the abandoned rail line is buffered from the busy highway by vegetation and tree cover. "This project is a greenway in the true sense," Smith says. "Within this 100-foot-wide right of way, you've got 80 or 100 years of vegetation that's grown up after they built the railroad. There's some beautiful oak and sweet gums and elms. There's lot of flowering redbuds and dogwoods. It's very parklike in many places." Someday, walking the Greater Memphis Greenline means a hiker will be able to turn onto another major greenway project that runs the length of the Wolf River. The first phase of the long-awaited Wolf River Greenway, a project that members of the Wolf River Conservancy have been dreaming about for more than 15 years, is slated to break ground this week. The connection to the Greater Memphis Greenline won't be made in the first phase of construction, however. Instead, the first mile built will loop around West Lake, a tributary of the Wolf near the corner of Humphreys Boulevard and Walnut Grove. "Baptist Hospital is right there, and there are office complexes and apartments near the trail," says Steve Fleegal, director of the Wolf River Conservancy. "People will be able to come out and walk the loop on their lunch breaks." Currently, the area that will house the first stretch is grown over with brush, making West Lake and the nearby Wolf River nearly inaccessible. The $1.4 million first phase, overseen by the city of Memphis, includes minimal amenities, such as benches, trash receptacles, and a parking lot located off Humphreys. "We decided not to light the parking lot," says Mike Flowers, administrator of planning and development for City of Memphis Park Services. "We don't light parks, so we won't be lighting greenways. We have an ordinance that in the summer, parks are open until 8 p.m. and in the winter, it's 6 p.m."
Funding for the project is a mix of public and private funds, some of which were donated by the Hyde Foundation. "Our goal is to accelerate this project," says Lauren Taylor, program officer for greening initiatives for the Hyde Foundation, which also donated funds to the Greater Memphis Greenline. "A few years ago, Mayor Herenton committed to building the Wolf River Greenway over 20 years, but we're focused on making that happen faster. It's such an amazing asset for the city and all the neighborhoods and parks it will connect." 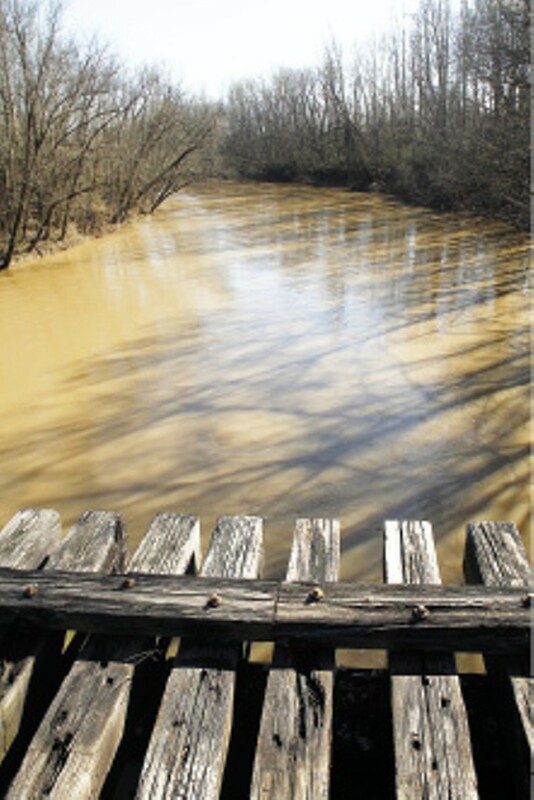 Since the trail will be built along the bank of the Wolf River, special care was taken to avoid sensitive areas where the river is naturally shifting. The trail corridor was intentionally designed to be narrow, so as not to impact the conservation values of the greenway corridor. "Hopefully, this greenway will help people to appreciate the Wolf River more," Fleegal says. "The greenways for the city of Memphis could easily be more than 5,000 acres if it's all eventually brought into the project. This [first phase of] trail is just a small part." The first mile of the greenway is expected to open by mid- to late summer. After that, the city hopes to begin construction on the next phase, which continues east along the Wolf River and connects with the Greater Memphis Greenline. In less than a year, the Shelby Farms Park Conservancy hopes to complete a pedestrian bridge that will connect the Wolf River Greenway to Shelby Farms. The city is still having land-acquisition issues with the downtown portions of the Wolf River Greenway, which runs from the Mississippi River to Danny Thomas. Though plans have only been designed for the eastern and westernmost phases, Flowers says that eventually, those two areas of trail will be connected to form a greenway that runs along the Wolf, from downtown to Shelby Farms. 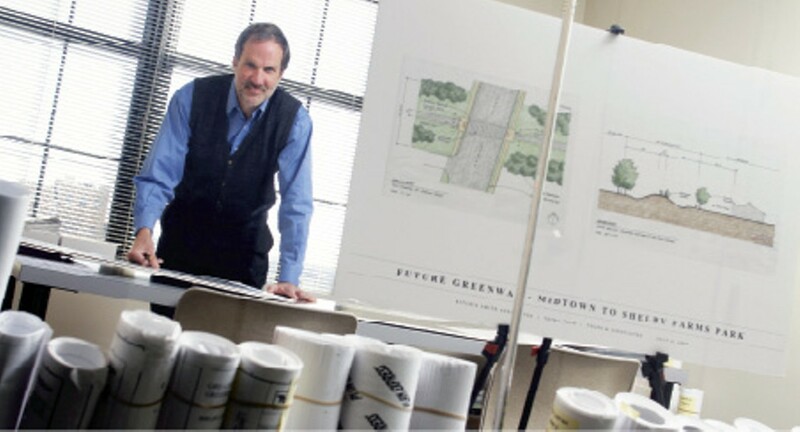 In the late 1990s — long before the phrase "greening greater Memphis" entered the local lexicon — the city of Germantown was busy pioneering a 2.3-mile stretch of greenway that runs along Wolf River Boulevard all the way to Neshoba Park. The narrow paved trail runs through beautiful wetlands and boasts seven educational stations. 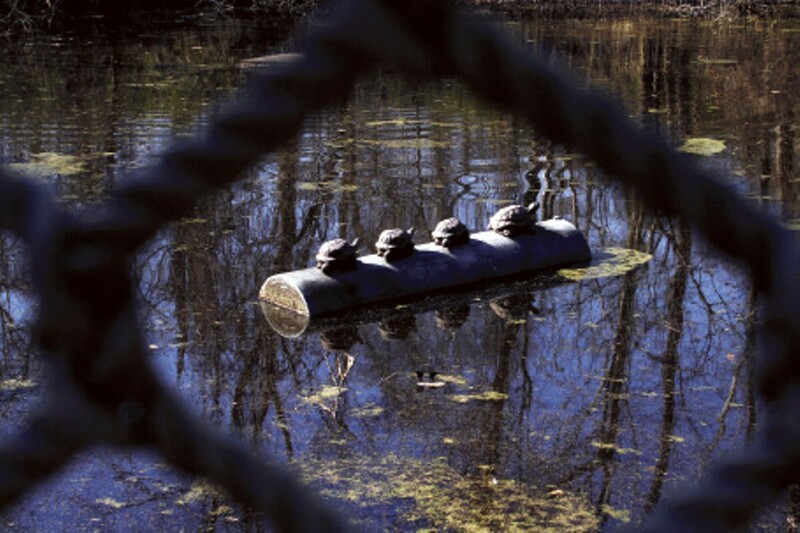 At one point, a sign indicates Turtle Bayou, where trail visitors are encouraged to take a path down to the water and look for turtles through a pair of provided binoculars. Another station features solar panels with a demonstration of how solar power works. Also along the trail, one can spot beaver dams and assorted wildlife, such as blue herons, deer, owls, and even bobcats. All this is located just a mile or so from busy Wolf River Boulevard. 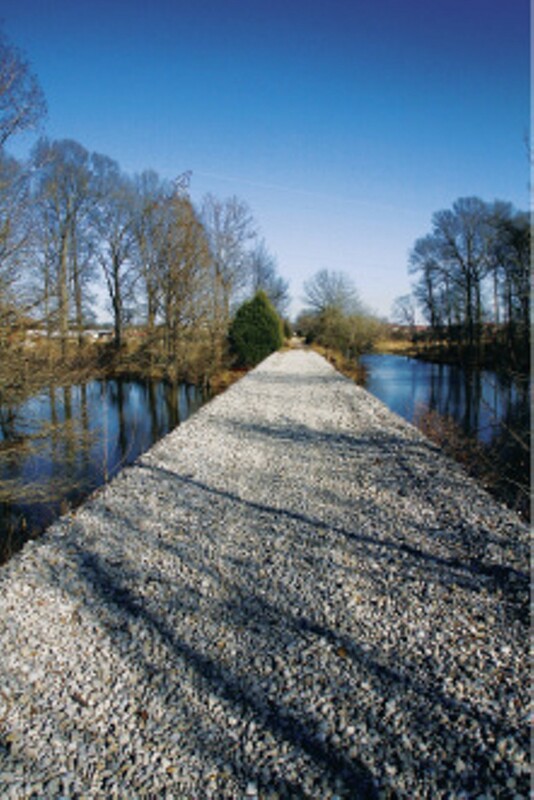 When the Wolf River Greenway's next phase is complete, it will provide a connection to the Germantown Greenway. And Germantown has plans to extend its trails further east to Cameron Brown Park. Construction of that new stretch will parallel an extension of Wolf River Boulevard. "They're looking to begin the road construction in spring 2010, and that should take anywhere from 18 months to two years. The greenway will be the last phase of construction," says Pam Beasley, director of the Germantown Parks and Recreation Department. Eventually, that greenway will connect with another existing stretch of greenway in Germantown that runs behind Houston High School to Johnson Road Park. In the next 20 or so years, it may be possible for a walker or biker to travel from downtown all the way to Germantown through connections between the Greater Memphis Greenline, the Wolf River Greenway, and the Germantown Greenway. "It's so exciting that by the end of next year, there will be this major connectivity created, once the Greater Memphis Greenline is done," Taylor says. "Starting in Midtown, you can take the greenline and go to Shelby Farms. Once you're in the park, you'll be able to cross a pedestrian bridge over the Wolf River that will connect to the first section of the Wolf River Greenway. And then the next phase of the Wolf River Greenway will connect to Germantown's greenway. Eventually, we'll have connectivity from Midtown to Germantown."